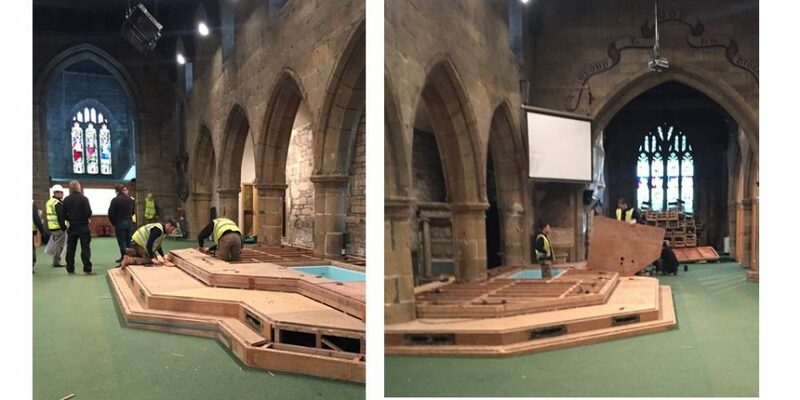 On Sunday 6th January we had our last service in our Grade 2* Listed Building and for the next 12 weeks we will be worshipping in the Parish Rooms whilst works to update the previous reordering of 27 years ago are completed. 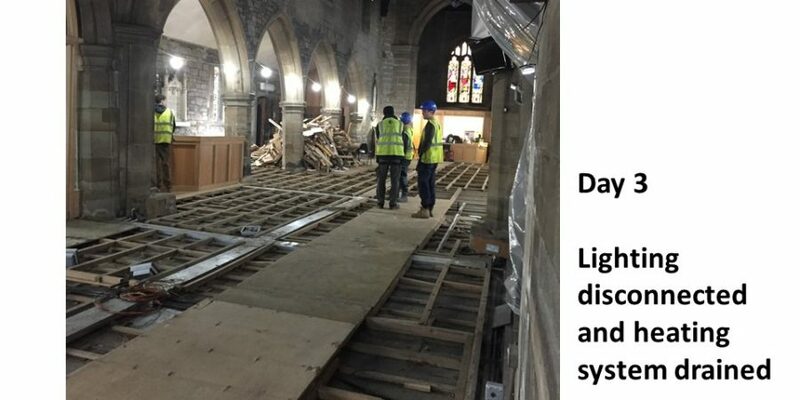 This exciting development will include new underfloor heating, energy efficient LED lighting, an accessible toilet, a digital PA system, television screens and re-carpeting throughout. 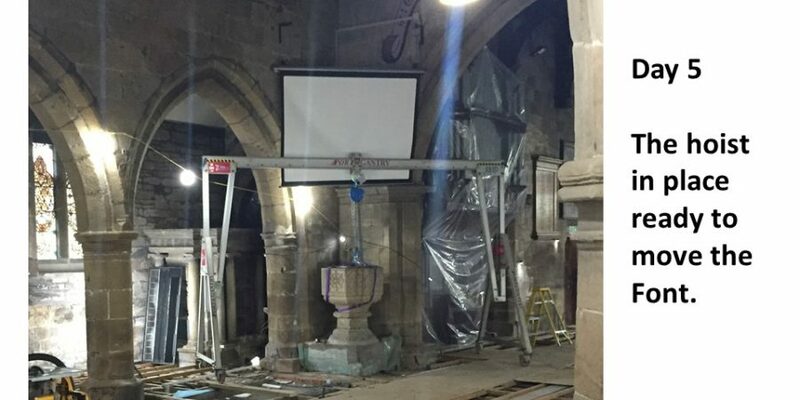 The font will be reinstated in a more traditional position near the main entrance, whilst a movable dais will provide flexibility when the building is used outside of regular worship services. 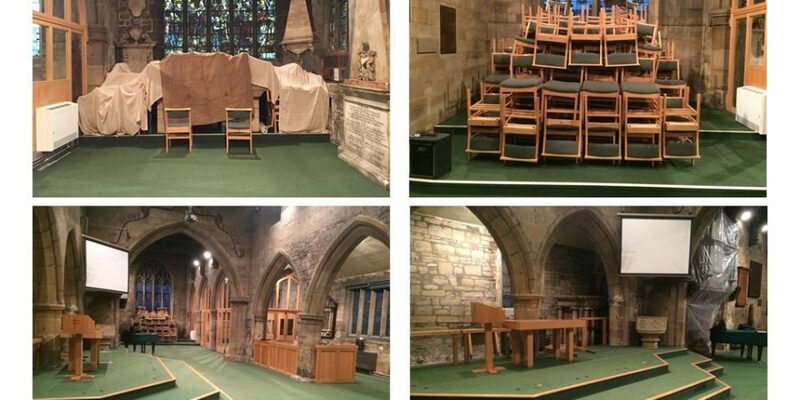 From the Vicar: “The reordering project all started over 3 years ago, pricing up some new lights for the church. 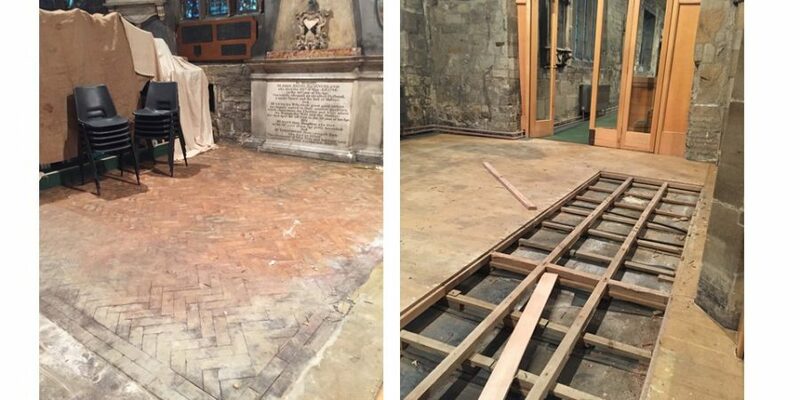 However, as we delved deeper, it became clear that more renovation work was needed and the project snowballed from there. 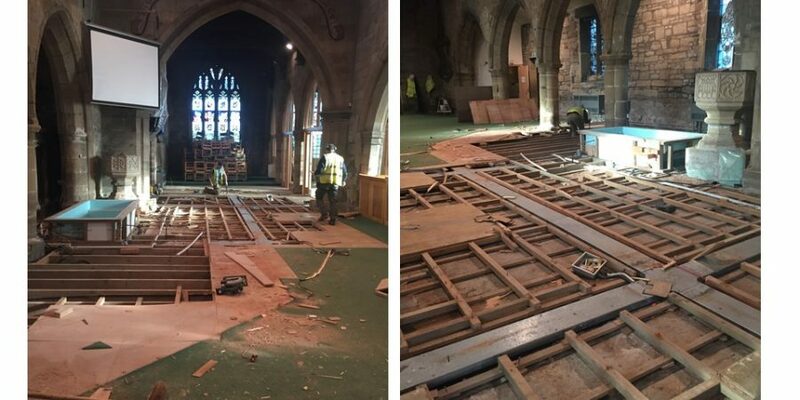 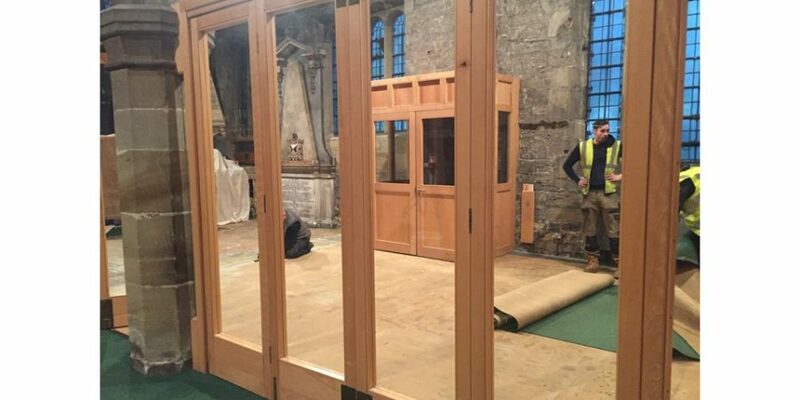 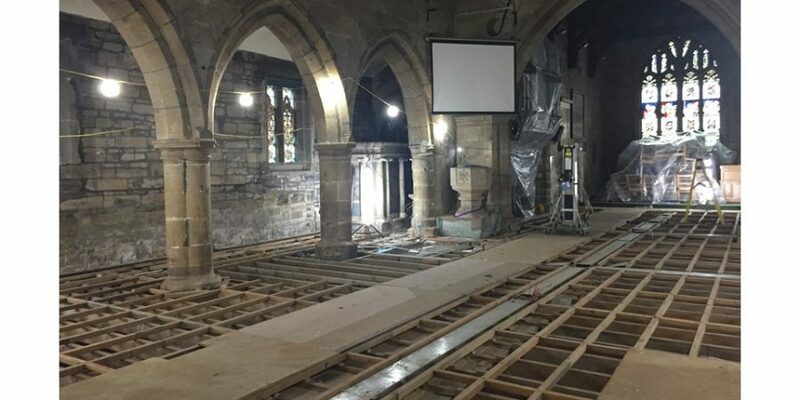 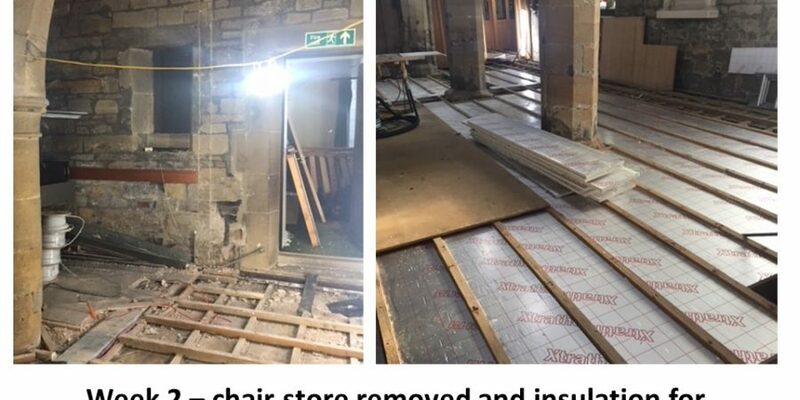 It has been a long journey but now the work has started we are very much looking forward to seeing it completed.” more information on the background of the reordering can be found here..